This past weekend Felkerino and I put our bikes on the roof of our car and drove north to meet up with friends and attend the Philadelphia Bike Expo. This was my first time seeing the city, and the short story is I really liked Philadelphia and hope to return soon for another visit to the area. We parked in Phoenixville, 25 miles west of Philadelphia, in order to ride the Schuylkill River Trail into the city proper. 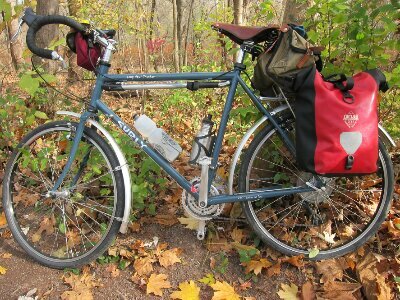 I rode my ever-reliable Surly Long Haul Trucker, while Felkerino was on his Rivendell Atlantis, a bike he loves and I would too, except for its sea green color. 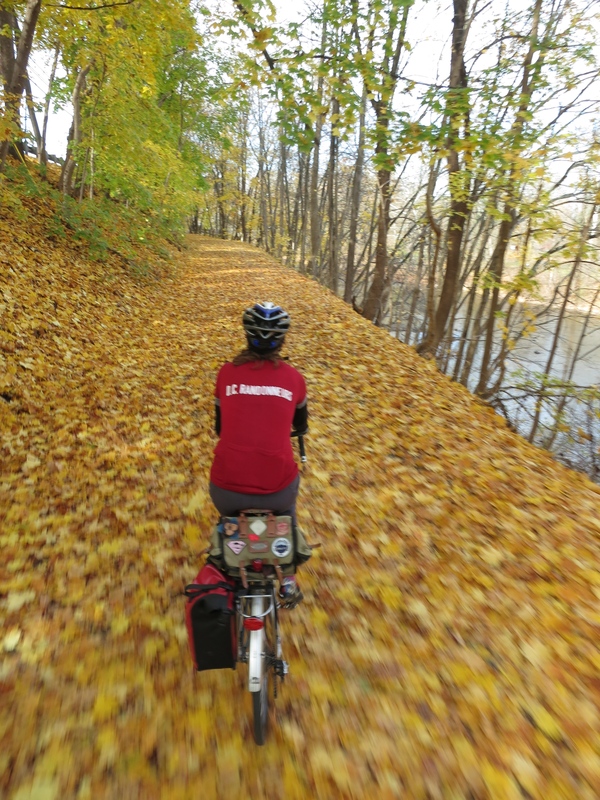 We took the scenic route into town, pedaling the full length of the 19-mile Perkiomen Trail before merging back onto the Schuylkill River Trail to venture into the city. It was a glorious day and we ended up logging 73 miles before settling into our hotel that evening. 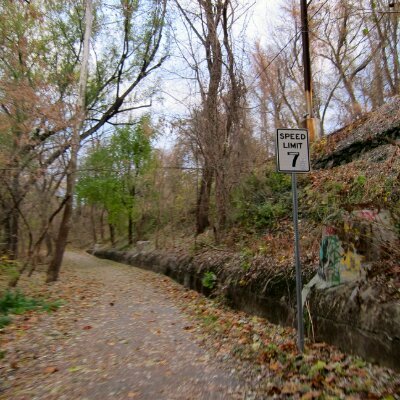 The Perkiomen Trail was a highlight of our visit. 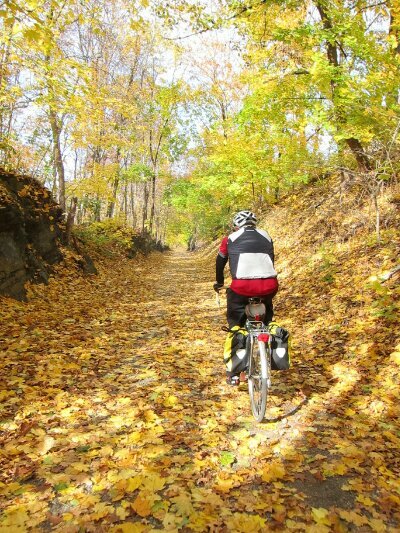 Golds and yellows all around accompanied by the steady rustle of leaves as we pedaled the miles away. One of those “riding through a postcard” days. This pleasing winding trail also interested me because it contains so many surfaces. One mile you are riding pavement, the next you are on gravel or hard pack. Both the Perkiomen and the Schuylkill River Trail are wider than the trails or multi-use paths in the D.C. area. Most segments easily accommodated two-way traffic and even allowed us to ride many miles side by side. 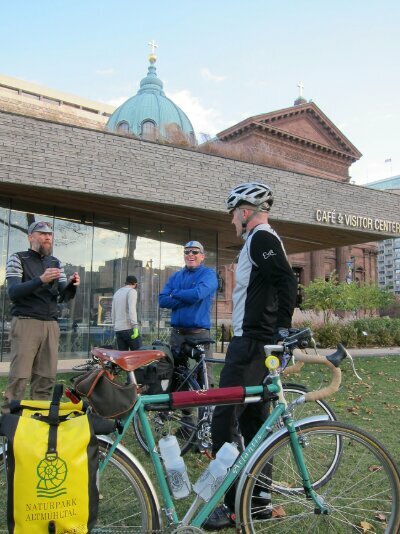 Part of our weekend was spent at the Philly Bike Expo, and Felkerino has some good shots of our visit. Bikes bikes bikes! I was glad we rode to the expo as it limited our consumption. We only purchased a couple of light small things :). 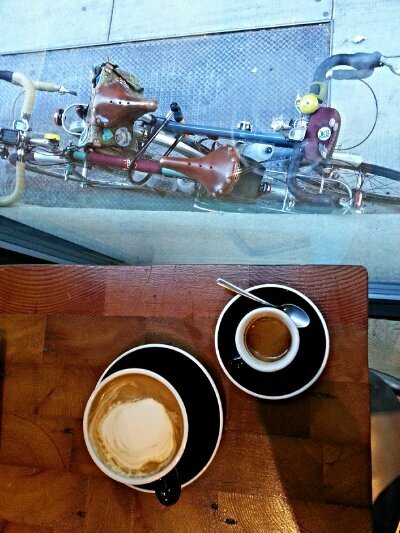 We made certain to go coffeeneuring, too. Our first and last stops were at Volo Coffeehouse, where I indulged in hot cider both visits. Volo is in Manayunk, a really pleasant little town a few miles outside the city. In between stops at Volo we visited Elixir, another excellent coffee shop in downtown Philadelphia. A sense of of transition permeated the weekend. A transition from running to being on the bike more. The shorter days, cooling temperatures, and falling leaves signaled the seasonal transition from Fall to Winter. Normally I dread the earlier sunsets and the trees losing their leaves, but this weekend was different. The weather and our time in Philadelphia rejuvenated me. I’m ready for the cold stark days, and the awesome bike rides to come. Remind me in February that I wrote that, okay? Philly is really a great city. I am way overdue to visit. 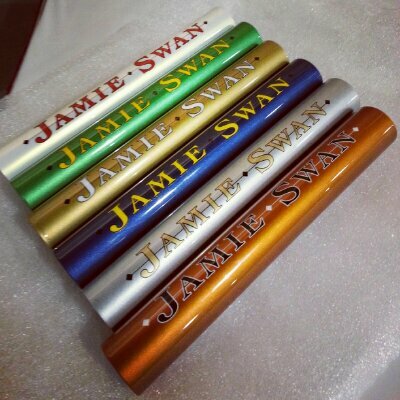 Thanks for the bike report! Never seen it that way before. Sigh, winter. I want to enjoy it, but the darkness gets me. Worse, even in not-so-cold temperatures, my fingers and toes go numb and white, so winter biking is not much fun for me. That being said I love snow and snowshoeing! That is such a bummer that you have Reynaud’s (is that what it’s called? 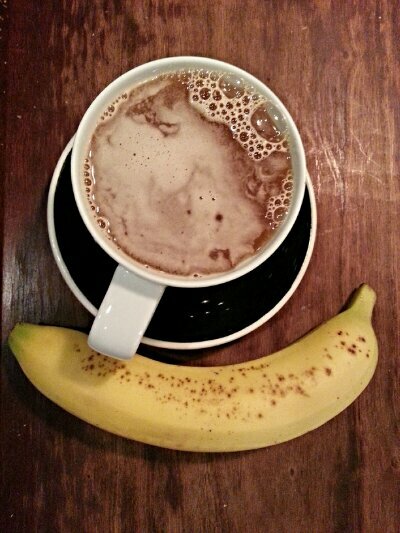 )… I notice the cold hands and toes are much more of an issue on the bike, at least at the beginning of a ride. The darkness does get me some, too, which is why it’s been hard for me to go up to your Tuesday runs lately! I ride home in the dark and then I don’t want to go out in the dark again. Maybe that will change, but for now I’m not fighting it. I do like that the colder days and earlier darkness make the city streets less crowded. So, you go to Philadelphia? Feeling a bit snubbed in Pittsburgh. It was the lure of the expo! Anyway, I really want to go to Pittsburgh, too, so I’ll keep you posted about getting up there. Looks like fun! I haven’t been to Philly in eons it seems and a visit is due. (Heck, an entire New England/Mid-Atlantic visit is way overdue.) I’d really like to check out the Philly Bike Expo, too. Looks like what a bike show should be. Out of curiosity, how easy/hard is it taking Amtrak with bikes up to Philly? (And did you look into that option?) Last time I did it only the overnight train had baggage service, so that would be the only way to take “big” bikes unless you brought a folder. Yes, the expo was great. I’m not really sure about Amtrak. I would have to look into what their policies are and what others’ experiences have been. Ha! I think that all of us people in DC would rather be in Philly if we knew how nice it was. I know I feel that way! 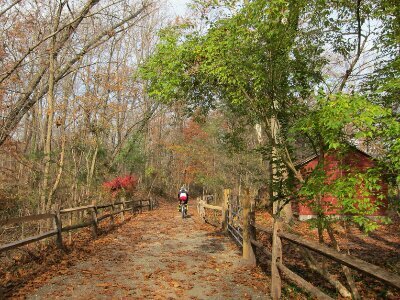 Love both Volo and the Perkiomen trail, we rode that earlier in the fall as part of a 2 day trip. On the second day we were riding into the city and got hit by a monsoon-like rain storm, Volo was like an ark, full of cyclists escaping the flood! Right? I totally daydreamed for a few minutes about moving there! I’m so jealous that you went to Philly the weekend we were moving! I can’t believe it was the first time you’ve been there. 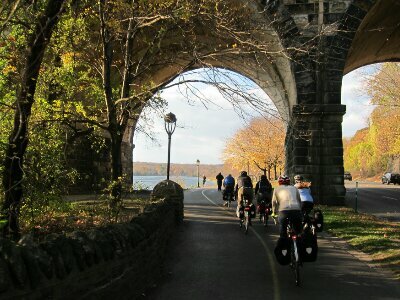 The Schuylkill River Trails were the first trails I had ever biked on, and my first “long” ride (not so much anymore!) was out to Valley Forge and back. I feel like the city has changed so much since I left, and especially in terms of biking infrastructure, that it would feel new to me. 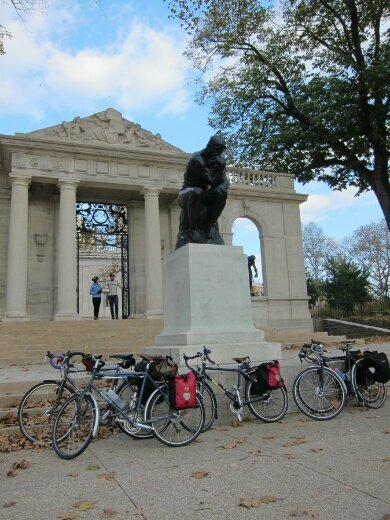 We should plan a group #bikeDC trip to Philly! Funny how “long” takes on different meanings over time! 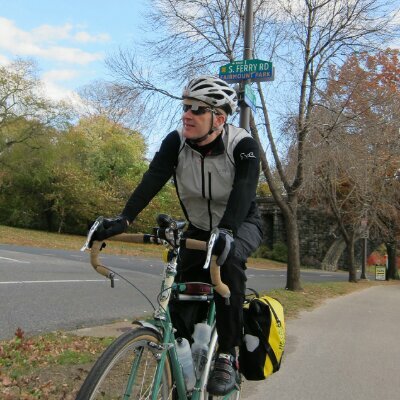 Yes, I want to go back and see more of the city… it would be fun to do a group #BikeDC trip up there.